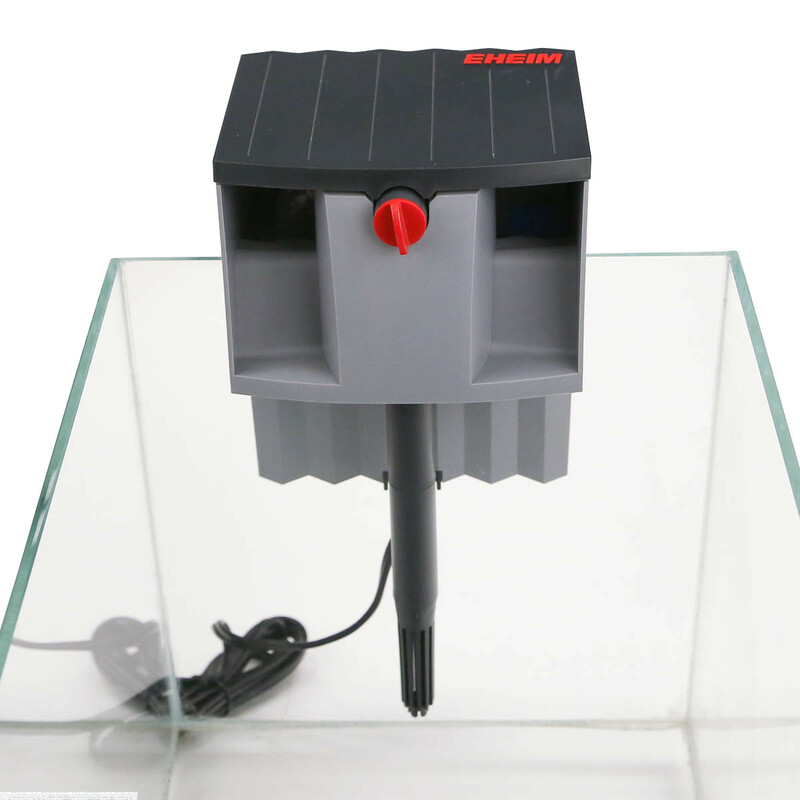 Hang On Back (HOB) power filters work great on simple systems that do not have a sump for filtration. 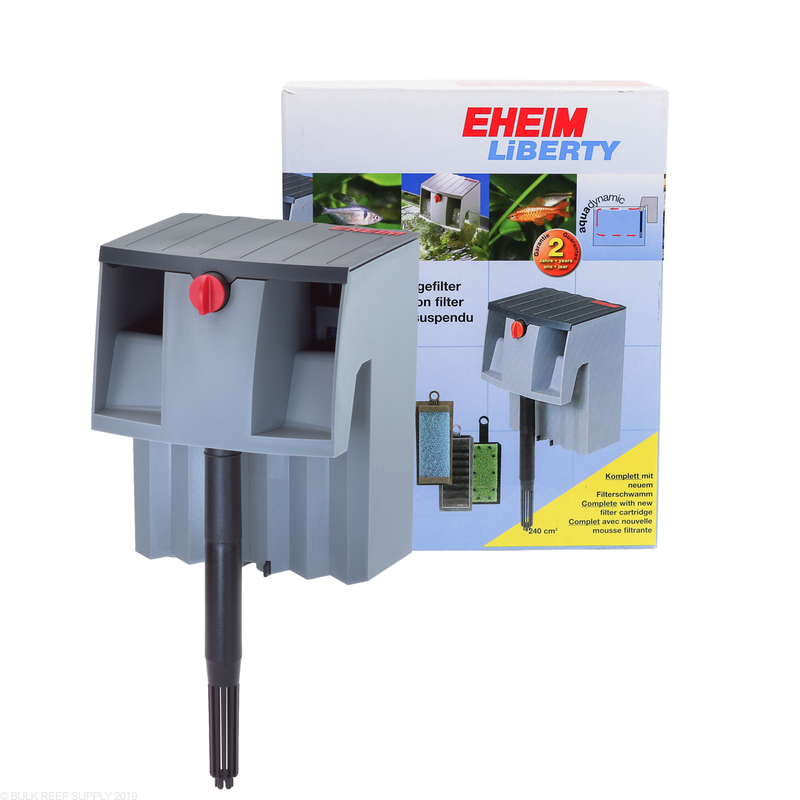 The Eheim Liberty HOB filters have a very simple and effective design that directs water through a mechanical filter sponge while employing a secondary sponge for that helps promote biological filtration. 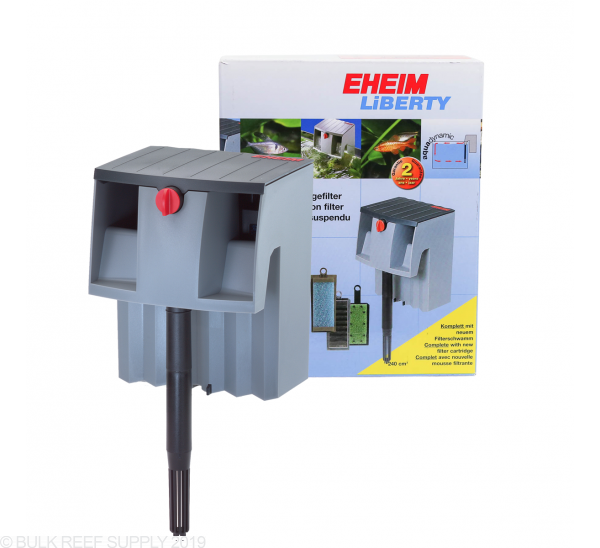 Eheim Liberty Power Filters use a very simple and effective design that is perfect for saltwater and freshwater aquarium filtration. 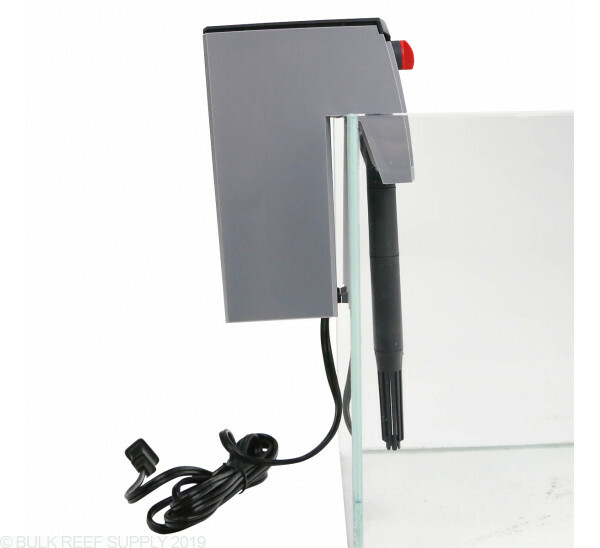 Hang On Back (HOB) filters are most commonly used on smaller tanks that cannot have a sump added or temporary tanks like quarantine or hospital tanks. 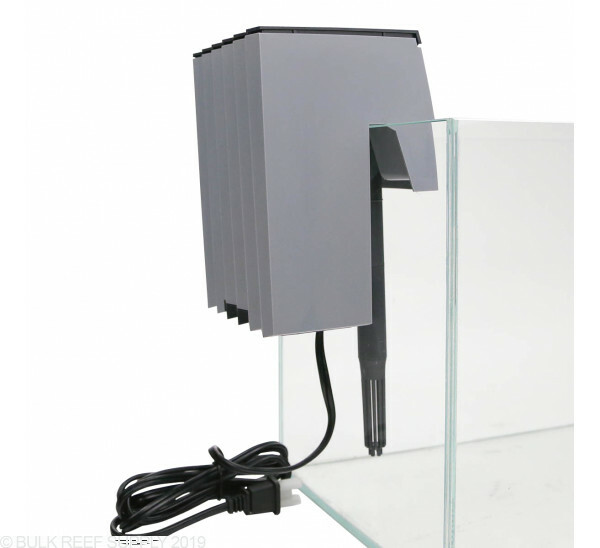 The Liberty filters can be set up in seconds by hanging them onto your tanks vertical wall. 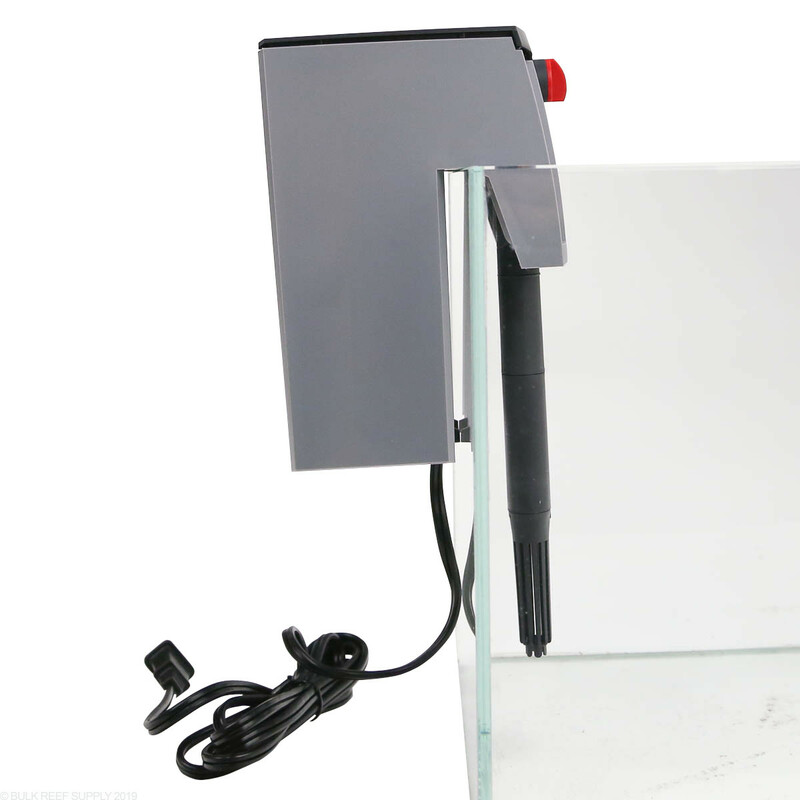 HOB filters will also add flow to your tank encouraging gas exchange and helping suspend detritus for removal. The adjustable intake depth lets you create the perfect motion throughout the tank to sweep particulates into the filter for removal. 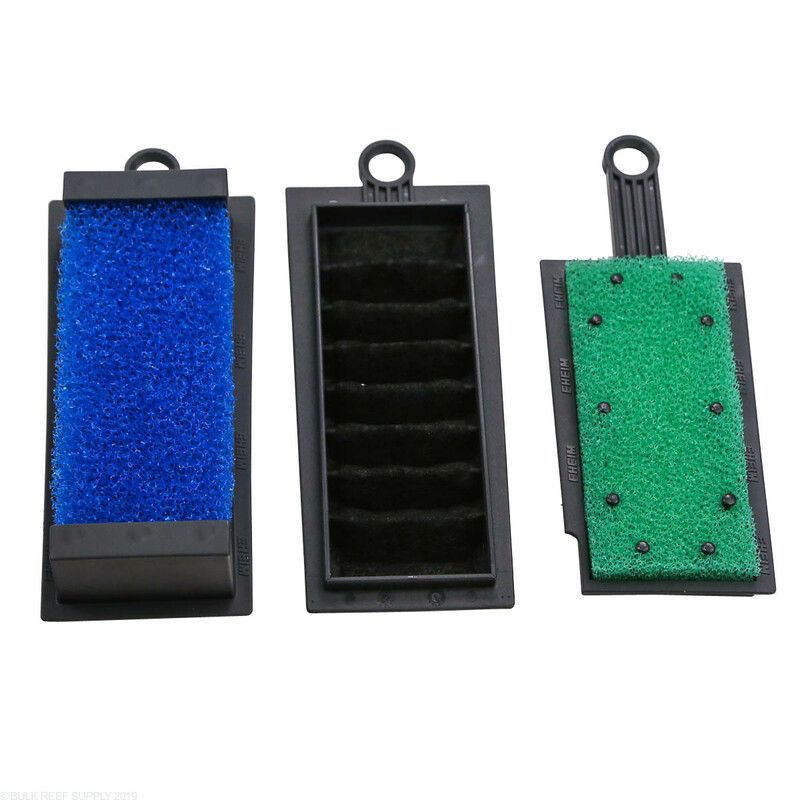 Each Liberty Power Filter includes a filter sponge that will trap detritus and other free floating material from the water column. 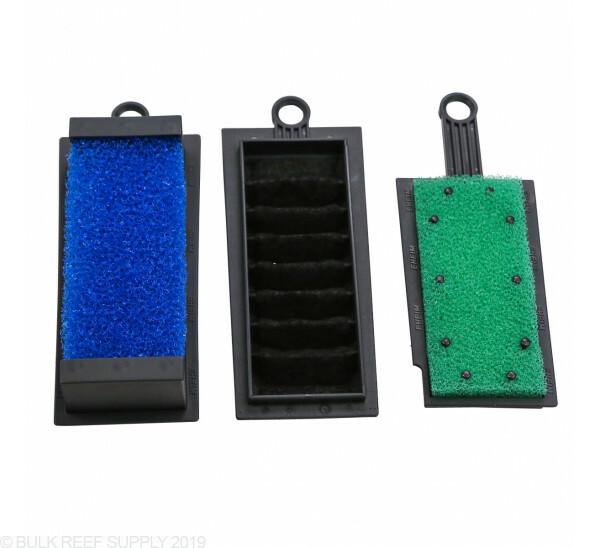 They also use a secondary filter pad that allows passive water contact for nitrifying bacterial growth and encouraging other biological filtration functions. Min Clearence Behind Tank - 3.25"
Max Rim Width - 1.00"
Note: Eheim Liberty filter systems must be primed before powering on. 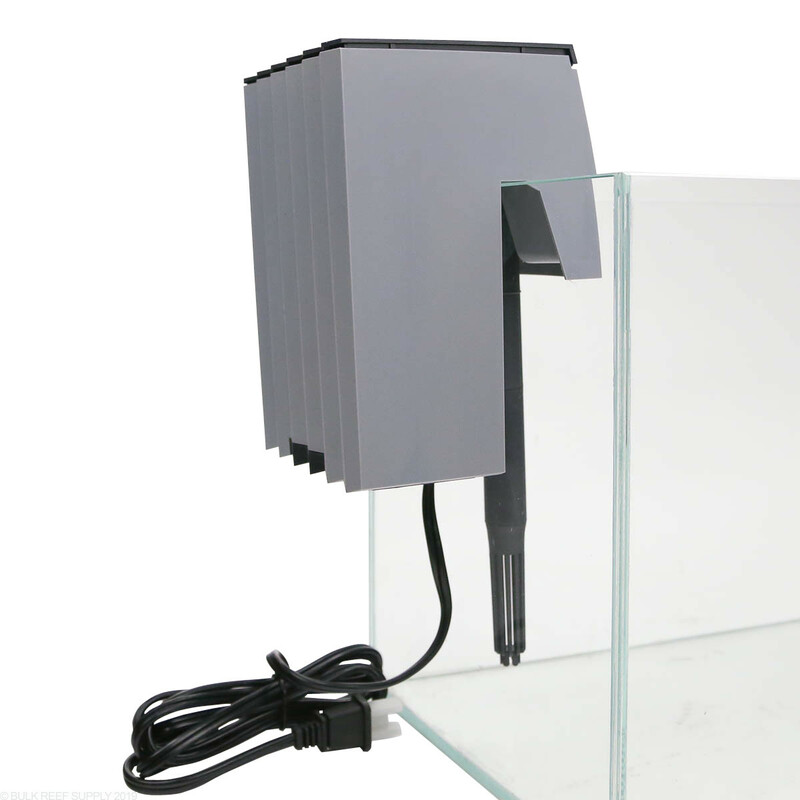 Fill the filter chamber with aquarium water until it is full. Then plug in the filter and it should start to pull water into the filter chamber through the intake. It may take a few minutes for it to fully prime and reach max flow. 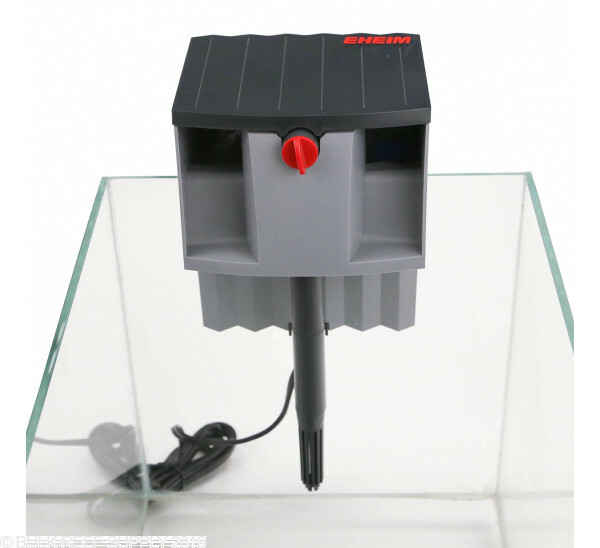 The flow control works great and the quality is typical Eheim. Professional look is nice too. Get one and see the differance over high priced toy quality bix box pet and discount chains. What are the recommendations for this series of pumps regarding gallon size?